C++ is a powerful, much sought after programming language, but can be daunting to work with, even for engineering professionals. - How do keywords like static and virtual change their meanings according to context? - What are the similarities and differences between Pointers and References, Pointers and Arrays, Constructors and Copy Constructors, Nested and Local Inner Classes? - Why is Multiple Interface Inheritance seen to be beautiful but Multiple Implementation Inheritance considered evil? - When is Polymorphism Static or Dynamic, Bounded or Unbounded? Answers on these questions, and much more, are explained in this book, Cybernetics in C++. What makes this text so different and appealing in comparison to existing books on the market? 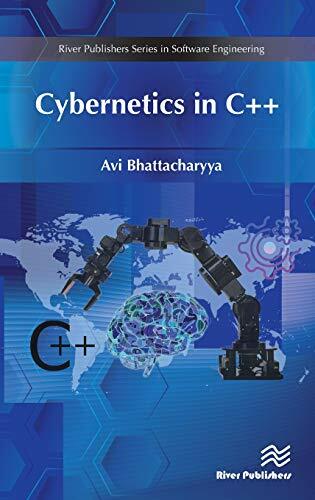 Cybernetics in C++ combines a theoretical overview and practical approach in one book, which should prove to be a useful reference for computer scientists, software programmers, engineers and students in this and related field. If you have any questions about this product by River Publishers, contact us by completing and submitting the form below. If you are looking for a specif part number, please include it with your message.